23 Digital supplied a full digital marketing strategy to increase rankings, drive more traffic and raise brand awareness. 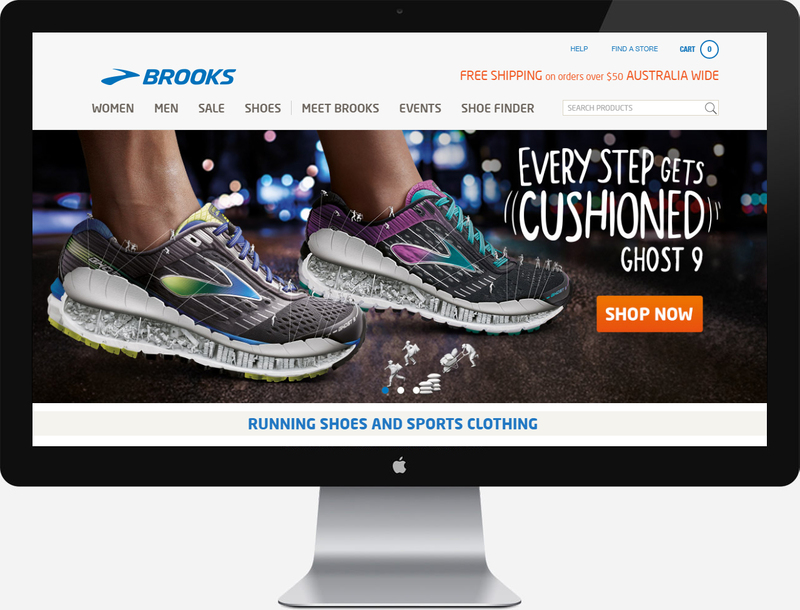 Brooks is an innovative company specialising in products that are designed to deliver the best running experience. With the motto ‘Run Happy’, they aim to cultivate a deep and meaningful love of running for runners across Australia. Specialising in men’s and women’s running shoes, the brand also supplies a range of other running gear to facilitate a comfortable run, including running clothing and accessories. 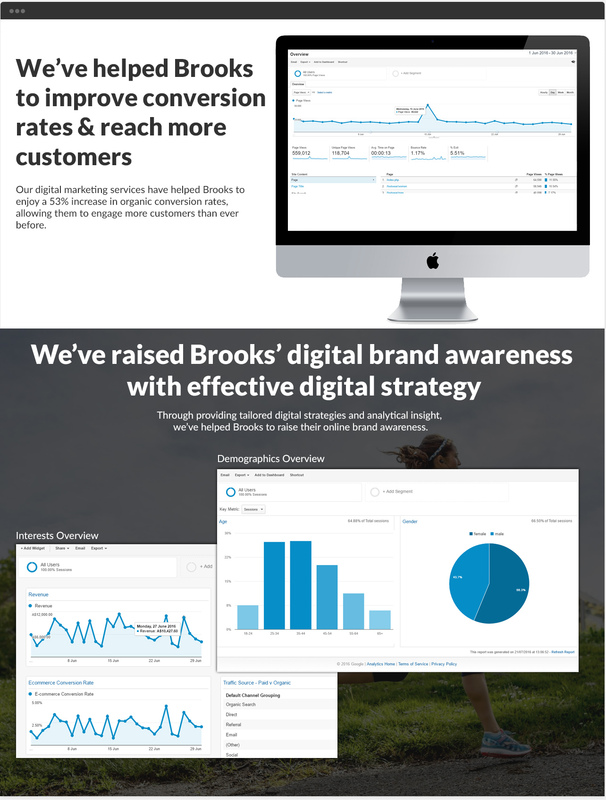 Brooks wanted to rethink their digital marketing to stay ahead of the competition. In order to raise brand awareness, improve conversion rates, and increase traffic, leads and sales, 23 Digital provided a full digital marketing strategy that included search engine optimisation (SEO), keyword research, onsite optimisation, content marketing, and tracking and reporting. This has resulted in improved rankings, helping to expose Brooks to a higher number of visitors and retail consumers. 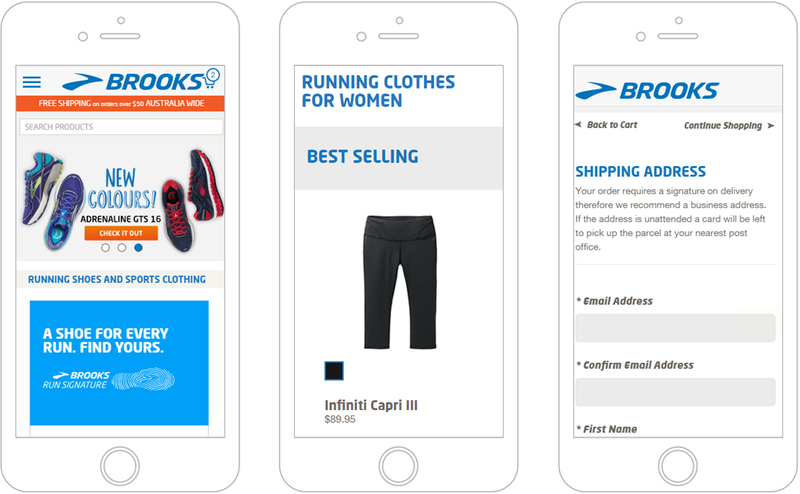 We’ve helped Brooks to improve their mobile user experience, making it easier for customers to browse and purchase products wherever they are. In addition to enjoying a more consistent experience across desktop, tablet and mobile devices, visitors can now also benefit from improved functionality and navigation. Please take a quick moment to complete this form and a business representative will get back to you promptly. A cost estimate for your project.